Baked Oreo Donuts are the perfect chocolate donut indulgence with a creamy frosting topped with a sprinkling of crushed Oreos. 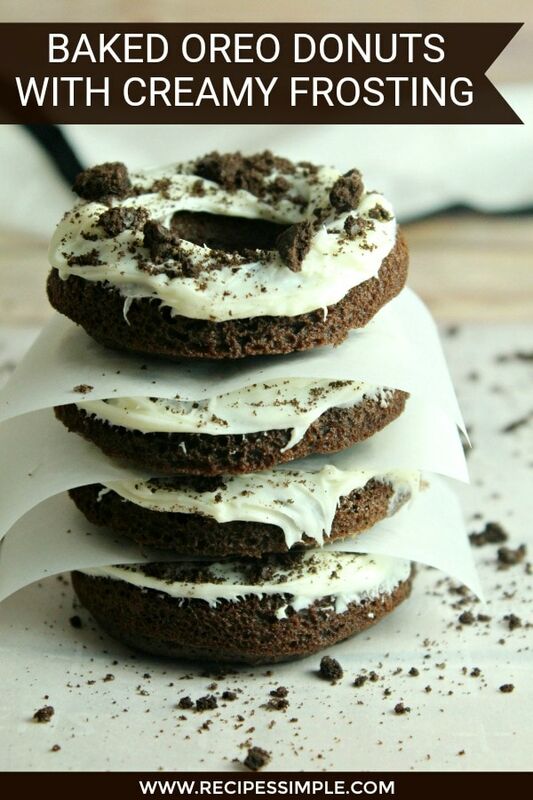 These Oreo Donuts are a decadent morning treat with your morning cup of coffee or a extra yummy dessert with a tall glass of cold milk. Either way they are so good and it’s so tempting to eat more than one! 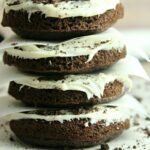 Scroll to bottom for printable Baked Oreo Donuts Recipe. You will need Donut baking pans for this recipe. 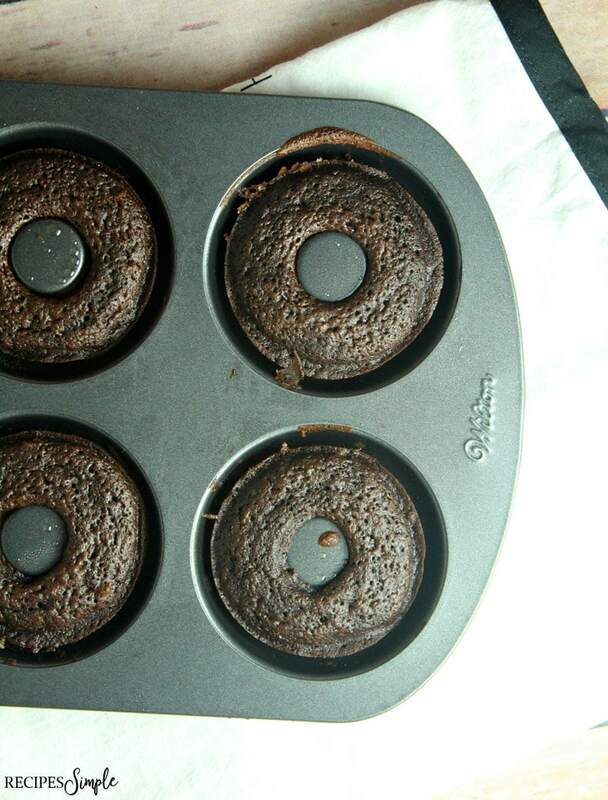 I used my Wilton Donut baking pans. You can buy them on Amazon in a multipack of two for less than $15. 1. Start by preheating oven to 350 degrees and lightly spray two donut pans with baking spray. Set aside. 2. Combine cocoa powder, flour, brown sugar, baking powder, baking soda, salt, and chocolate morsels in a large bowl and whisk. 3. In a 4-qt liquid measuring cup or a medium bowl, combine eggs, milk, vanilla extract, and vinegar and whisk. 4. Pour wet mixture and melted butter into the bowl with the dry ingredients and beat until combined. 5. Divide batter between the donut pans and bake for about 15 minutes, until set. 6. While donuts are baking, prepare the icing by beating together the butter, Crisco, powdered sugar, and vanilla extract. Add in the milk, a little bit at a time, beating after each addition. 7. Open the Oreos and scrape off the cream filling and crush the cookie wafers . 8. 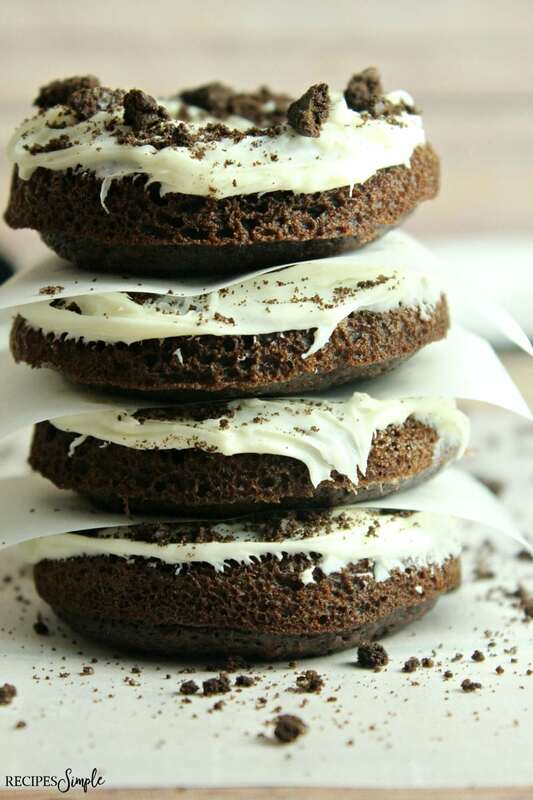 Once donuts are cooled, dip into the icing and sprinkle with crushed Oreos. 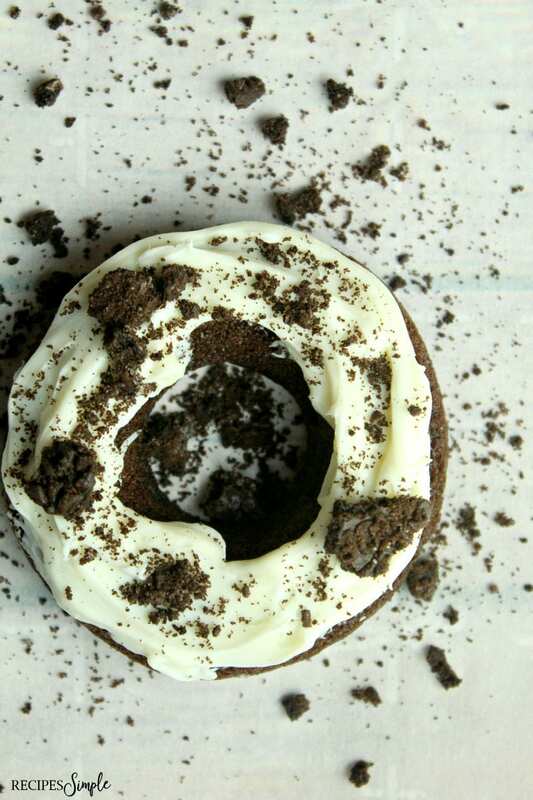 Baked Oreo Donuts is the perfect chocolate donut indulgence with a creamy frosting topped with a sprinkling of crushed Oreos. Preheat oven to 350 degrees F and lightly spray two donut pans with baking spray. Set aside. Combine cocoa powder, flour, brown sugar, baking powder, baking soda, salt, and chocolate morsels in a large bowl and whisk. In a 4-qt liquid measuring cup or a medium bowl, combine eggs, milk, vanilla extract, and vinegar and whisk. Pour wet mixture and melted butter into the bowl with the dry ingredients and beat until combined. Divide batter between the donut pans and bake for about 15 minutes, until set. While donuts are baking, prepare the icing by beating together the butter, Crisco, powdered sugar, and vanilla extract. Add in the milk, a little bit at a time, beating after each addition. Open the Oreos and scrape off the cream filling and crush the cookie wafers . 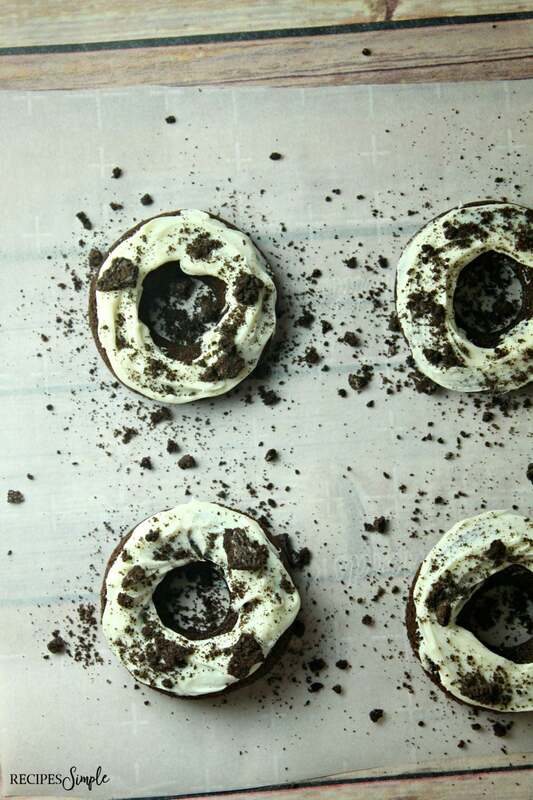 Once donuts are cooled, dip into the icing and sprinkle with crushed Oreos.